Rightwing Rumblings: Amend the Holy Book to avoid Peshawar kind of attacks in future. Amend the Holy Book to avoid Peshawar kind of attacks in future. Does emotions arise with Media coverage ??? Looks like to some extent. Peshawar killings and aftermath media coverage made even those who stay in slumber to come out and condemn the dastardly act. 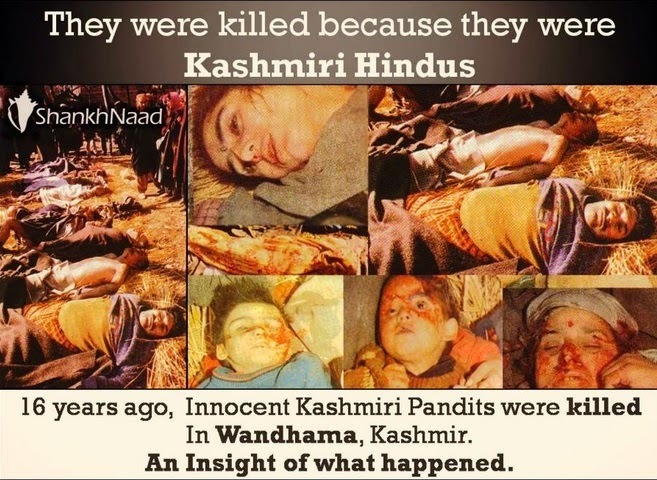 Will these english educated sleeping beauties show same concern for those lakhs of Kashmir Hindu pandits who were brutalised by Islamaniacs and made to flee the valley, where they were living for centuries ? Totally Agree, the crime on kids were barbarous and any sensible human will chastise . But where were these great souls when Indian cities were targeted by the same Jihadi tribe? Why dint these people ever came out to express their anguish, then?? Maybe they thought the dying people were fellow Hindus and need no solace worth a word. Even condolences have become Fashionable or Slavery mentality weighing still large on our heart, mind & soul. These are the same English educated people who to showcase their Liberal views on social media keep telling us Terrorism has no religion. Where as the perpetrators of crime keep chanting 'Allah-O-Akbar' before shooting children at point blank. Does our Libtards have guts to condemn the "Holy Book" which said to be the Inspiration for perpetrators to carry such dastardly act ?? These English educated Libtards are burden on Hindu society. Stop being sly foxes by passing selective condolences hiding behind the computer in your drawing room or taking fashionable 'mombatii' protests condemning attacks like that of Peshawar , check out its roots for the ultimate solution. Peace on earth is impossible until "Free World" unite in their demand to amend the "Holy Book". January 1st 2015 Sri Vaikunta Ekadasi .